It's fun to get this sort of reaction, so often I get the suspicious look. I agree with you, it's nice when people acknowledge you like this. I always try to get eye contact when I snap photos like this one. 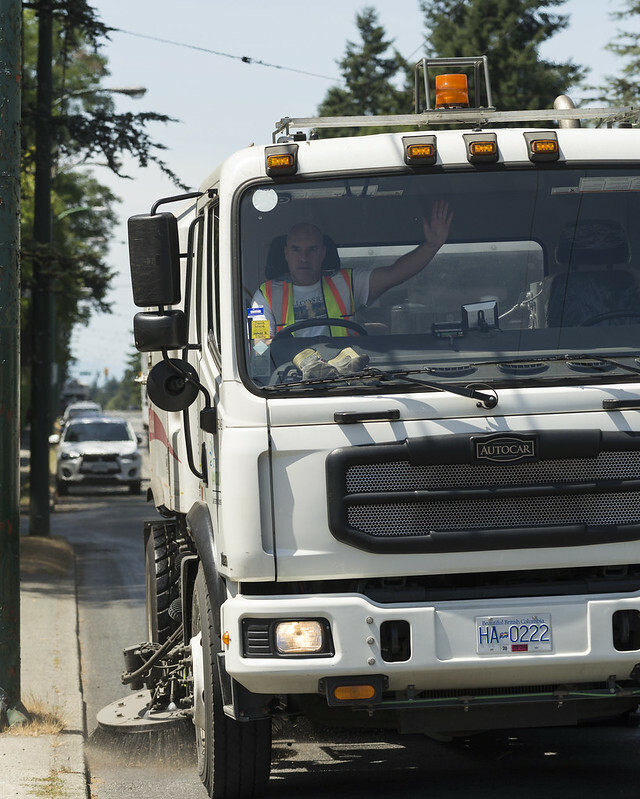 Good to have friendly city workers give you a wave while cleaning the streets.